Jen has been training animals both big and small, most of her life. She began riding and training horses as a young person. She took 'how to teach' classes in college and began teaching group lessons in Hunt seat equitation in college. She began riding professionally after college and continued teaching group riding lessons. Jen rode and competed in Combined Training. In 2006, Jen joined NJ Rescue & Recovery K9 Unit, training and certifying her German Shepherd Dog, Griffin as a live find air scent dog. Jennifer also joined and certified Griffin with NJ Task Force 1, the State Urban Search & Rescue Team, which is now part of FEMA. 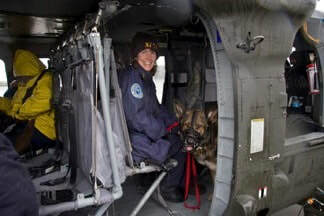 Over the years Jen has deployed with Griffin to many wilderness searches plus several small building collapses including Hackensack parking garage collapse, Hurricane Irene, Super storm Sandy and the Ewing gas explosion. 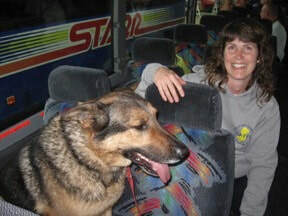 Jen has also trained and certified her German Shepherd Dog, Remus as a Human Remains Detection (HRD) dog for both teams. She has also trained private detection dogs for bed bug detection and began K9NoseWork certification in 2015. 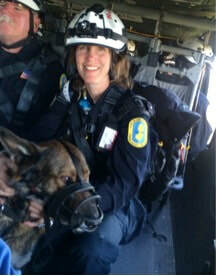 Jen loved the idea of K9 Nose Work, because she loved detection training so much. She is currently training her new puppy Flint to follow in her other dog's footsteps. Jen is currently Certified by the National Association of Canine Scent Work and a Canine Search Specialist Technician, Disaster Certification. She is also Water rescue certified with NJTF1. Jen has been doing private dog obedience/behavior lessons for the last 4 years, sharing her love of training dogs with others.